All of us wish we knew the exact model to know how to optimize content for high search engine rankings. Right? It would be great to know every detail that matters when it comes to on-page SEO for your content. That is the ultimate goal for all content campaigns. You need content that ranks high in the search engines because this will bring higher conversions, equaling more sales for your business. Although we don’t know every exact SEO technique in terms of optimizing on-page content, we do know enough. Search engine optimization has been used for years. Over the years, we’ve been able to learn through A/B testing or any other type of testing you may do to learn what works and what doesn’t. Although each scenario is different, we’ve learned over the years how to optimize content for high search engine rankings. Before you can start your content campaign, your going to need a blog. I know everyone has different thoughts on having a blog. In my opinion, every website should have a blog, especially start-up websites. August 2014 already, Google has made many changes. Two aspects of SEO that affect your SEO rankings the most is content and link building. A few years ago before Google made changes, link building campaigns were enough to grow high search engine rankings. You still wanted content but you could do big things building links. Today, that is not the case, you need a blog. A blog serves many purposes other then growing search engine rankings. A blog is how you showcase your experience and knowledge, just as we are now. You can do a lot with content, landing pages, growing leads, content is still king. Once you learn how to optimize content for high search engine rankings, you’ll be on your way to high conversions. WordPress is usually considered to be the best platform for a blog, it’s the top content management system that we have. Plus, there’s a variety of great benefits using WordPress for SEO. You don’t want to just put content up. You should always aim for high quality content that is useful, serves a purpose and is helpful. This article is helpful, detail, well informed, I can brag on myself forever. Kidding. The point however, you want to publish your best content. In the SEO community, content is always at debate. No matter what is said though, content is the best way to grow SEO rankings. How many words should I write? Should I have 3 percent keyword density or 4 percent? How many times should I use my keywords? I’ll give you a little insight and I know fellow SEOs can agree on this for the most part. The more I write for SEO, the more I get off topic, the harder it is to understand, I get away from the true meaning of the article. In my case, I’m better writing off the top without thinking about it. You should write for your user, your clients, customers, visitors. Don’t just write for SEO. Every SEO writer or webmaster has their own guidelines in terms of keyword density, how many times a keyword is used. Again, A/B testing is great. I can give you my numbers, 2-3 keywords per 100 words, 2-3 percent keyword density. Here’s the thing though, these metrics are not always reliable. I’ve used the same SEO metrics for my content and I’ve seen equal results and I’ve seen results that are completely opposite. This is how I know many other metrics play into the content equation of keyword ranking. The structure of your content does play a role in the SEO value of your page. This includes everything that you put into your article or page. Your title/heading, sub-titles/sub-headings, images, links, and anything else that may be used in your article. Everything that you put into your articles can help benefit your SEO rankings. Your title is extremely important. Your title should include at least one keyword that your targeting. At the most, two keywords. This same keyword should also be used in your content. Your title is going to be the same title that shows on the search engines when potential visitors search for it. Due to this, you want to also make sure that your title is clean and attractive. Yes, your article may rank on the first page of Google but non-descriptive title can cost you clicks and conversions. The article starts with a great title. Sub-titles also play an important factor when trying to optimize your content for high SEO rankings. This is also known as sub-headings. In web development, we’re talking about h1-h6 tags. Many writers fail to take advantage of heading tags and it often hurts the ranking power of your content. You have plenty of opportunities to use your h1-h6 tags, use them to your advantage. This also makes your article easier to read, user experience is always important. This is another SEO term that you may have heard at some point, above the fold. In terms of SEO, the top of your article is the most valued. This is where you want to make sure you use your main keyword and any important relevant content that can be placed at top. What is above the fold? Above the fold refers to the content that you see when you first go to a webpage without scrolling down. Due to the fact that many websites are responsive and display different content according to technology, I really don’t know how above the fold is judged. But know this, your important content and keywords should be placed at the top. Your first paragraph is prime real estate in terms of building your content for SEO. You should make sure that your main keyword is used in the first paragraph or first few sentences. This can be tough because you also want to use your first paragraph to keep your visitor interested so they’ll continue to read. Having the perfect combination of both is important. If you look at this article and millions of articles across the internet, you’ve probably noticed bolded words, italic words and underlined words. This technique is used for a few different reasons. The search bot, also called Google bot, scans the code of your content. If you know HTML, you know the code for bolded words is <b>. Bolded words helps the search bots find important words within your content. This is why we bold keywords and important key phrases. You don’t want to go overboard with this technique but many SEOs feel that this does help with SEO rankings. This technique also serves another important purpose in your content. Bolded words are easier to find in your content, right? Our eyes are drawn to bolded words because it looks different. This can help you attract your visitors to a certain section or COA in your content if needed. This can help you improve SEO rankings and conversions while making the reading experience more better for your visitor. Articles can range from a few hundred words to thousands of words. The longer an article is, the more difficult to keep it structured. You want to keep your content clean, well structured and easy to read. Again, this is where your sub-titles or sub-headings can come in handy. If you look at this article, you see that there’s a lot of content. However, each section and important element of the content is classified with a sub-title, a h4 heading. Keeping your content clean is important to ranking and important to user experience. Spacing is another important aspect of keeping your content clean and search engine optimization. If you look at my article, the spacing is equal throughout the article. You want to be sure that each section is clean and easy to determine. Your title should be separated from the body of your content. The content should be separated in sub-titles and away from the footer. All of these will ensure that you keep your content clean. Spelling and grammar is also needed. Both are more important to user experience then SEO but it could vary. If you misspell a keyword that is only used once in the article, it could possibly hurt your ranking for that keyword. Spelling and grammar is more important for user experience. If I go to a website looking to buy software that is $500 and I see a bunch of spelling mistakes, I’m going to think twice before buying. I see this affecting retail niches more so than others, but you want to keep mistakes at a minimum. Links play a vital role in the pages and articles that rank for a particular keyword or keyword phrase. If we go into detail about links, I could write a novel. We’ll save this for another time but knowing how to properly build links is so important. If your familiar with SEO, you know that link building is important to SEO ranking. For now, we’re talking about building links within your content. If you can add relevant links in your content, add it. There’s two basic ways that can add SEO value to your content. Number one, hyperlinking text in your content to related articles written on your website. Number two, hyperlinking text in your content to related articles written on another website. Now, each link that you build will have a value, every link does. I would suggest using SEO resources, SEO software, link building software to figure this out because it’s important. If your building on-site links to other websites, you want to be aware who you link to. As a SEO, you want to build links to authority websites, this builds your own trust and authority. So, when your creating hyperlinks in your content to other websites, know the value they bring to your content. If you don’t have SEO software, Google (search) related content. If they rank on the first page, chances are, they are a trusted and authority domain. Although the technique above can help your article and website gain authority and trust, this technique can cause traffic to leave your website. In return, this can cost you a sale or conversion. You have to be careful with the way you direct traffic in your content and your website. If your website has page rank, building links on your article that point back to your own content is a great way to spread page rank. In return, this will also increase your search engine rankings and keep users on-site. If your a start-up website, you don’t have page rank or a large content database. Building links on-site will be tougher, meaning that you will have to rely more on the quality of your content. According to Google, no article should have more then 100 links. Take that to heart. I knew I would go on and on about links, in all seriousness, they play a vital role in how your keywords rank. According to Google, you should be aware who links to you and who you link to. On top of that, link building is frowned upon by Google and can cause your website to be penalized. These reasons are exactly why you should ALWAYS put out high quality content. For one, it often ranks better. For two, your content will attract others to link to you. This can push search engine rankings up. Think about it, if a lot of websites are linking to your content, linking to your website, this probably means that your website is popular. This boost search engine rankings. It’s not always about quantity but rather quality when it comes to content. Lastly with links, you want to make sure your links are relevant. You don’t want to be writing about sports and link your content to an article about cupcakes. Big no-no. Every link on your website should be associated to the text that is hyperlinked. If you hyperlink search engine optimization in your content, make sure the link is going to content that can reference search engine optimization. Linking to content not relevant will cause you to lose search engine rankings and can be grounds for a penalty. Images serve a number of different purposes in content. Content with images often perform better then content without but can vary. Images are more so for user experience and engagement but also serves a value in SEO. Just like keywords, your images can also rank for specific keywords. The search bots can read every inch of your article. However, search bots can’t see. They can only read code and process it. When you put pictures in your content, the search bots don’t see it. Instead, they read the code provided by you. In order for the search bot to know what the picture is about, we must tell it. This is why we use Alternate Image Text in our pictures. This is a simple line of text, should be a relative keyword or phrase. This is where you add your keyword. Simple. WordPress and Joomla are two of the biggest CMS in the world. Both are simple to add Alt. Img Text. There’s no detailed guide when it comes to a guaranteed, correct ways to place keywords in your content. Even so, we’ve learned from experience and every SEO has a general idea of keyword placement. Starting with your article, as we discussed earlier, your main keyword should always be used in your title. I suggest never using more then two keywords in your main title. You should also use your keywords in your sub-titles, sub-headings. Use your keywords in the first paragraph, this is where they are valued the highest. Make sure you use keywords throughout your content. Keep your keyword density around 3-4 percent in your content. Don’t concentrate on one specific keyword, this can actually hurt your rankings more then it helps. You want your keyword list to be diverse, same with your link profile for those taking notes. Don’t group keywords around one another, tend to space them out. If it happens a time or two, no big deal. Just keep an eye on it. Metadata and descriptions are important, needed for every article and page that you publish. If your familiar with metadata descriptions, you know that this is a paragraph or two that explains your entire article or page in detail. Search engines can use this data to portray snippets in the search engines even though search results can bring up any part of your content. Meta descriptions should include your main keyword or keyword phrase. Your meta title should reflect the title of your article. Meta keywords would be keywords and keyword phrases used to described your article or page. WordPress SEO plugins make adding metadata easy. SEO Yoast or All-In-One SEO can make life as an SEO a little easier. In terms of metadata, it helps the search engines know exactly what your article is about. You’ve learned a number of different ways to optimize content for high search engine rankings. Each one of these techniques will give your content a better shot to get indexed and rank. If I can make a quick suggestion before you go, invest in some SEO software. Since WebMeUp is only doing links, perhaps you can use Web CEO or Sheer SEO. You want to be able to track your content, see which keywords your content ranks for. Once you know positioning, you’ll be able to go back to that article and optimize it if you need higher search engine rankings. If you can’t afford SEO software, try Google Analytics. You can track your pages with Google Analytics, I’m not 100 percent sure if they track keywords. The paid version may, I don’t think the free version does. I prefer SEO software over Google Analytics any day but you have to work with the tools you have. 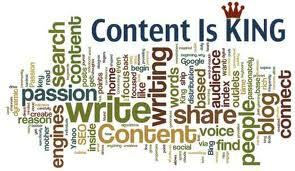 Content is just one important aspect of gaining high search engine rankings. Link building is another important aspect of SEO. Remember what I said about writing high quality content. If you write content that others will link too, you’ll knock two birds out with one stone. If you create content that others link up to, you’ll be well on your way to high search engine rankings for your keywords. Hale Web Development has been providing SEO and web development services for over 7 years. Contact us today for a free consult and evaluation.